There are 6 sizes of 'Lessons of the Balance' which can be purchased without a base. Below are the sizes and prices of each individual piece. 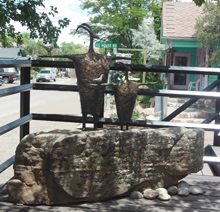 The price DOES NOT include the stone or bronze base it is on. 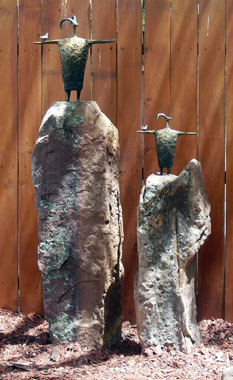 Left Bronze: 33.5" Tall, $5800. 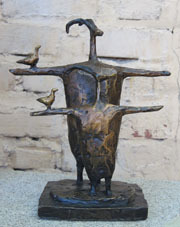 Right Bronze: 22.5" Tall, $4000. Left Bronze: 16" Tall, $2400.